Here's a summary of interesting developments in intellectual property, technology, social media, and Internet law for the week ending March 22, 2019. Most companies, whether aware of it or not, have trade secrets. While the general public may think that only certain famous recipes like Coca-Cola’s recipe for soda or KFC’s recipe for fried chicken qualify as trade secrets, the reality is that much more mundane items like customer lists or other proprietary information may also count as trade secrets. Because the general rule of thumb is that trade secrets are only trade secrets for as long as they remain secret, many companies mistakenly think that simply marking information as “confidential” or retroactively labeling it as “trade secrets” will be enough to satisfy a court’s inquiry. When trade secrets become the focus of litigation, courts will often look at many factors to determine whether or not the information at hand truly qualify as trade secrets. For example, in a recent federal opinion, Abrasic 90 Inc., d/b/a/ CGW Camel Grinding Wheels, USA v. Weldcote Metals, Inc., Joseph O’Mera and Colleen Cervencik, the court stated that there are at least two factors that will be considered when determining whether the contested materials are indeed trade secrets. 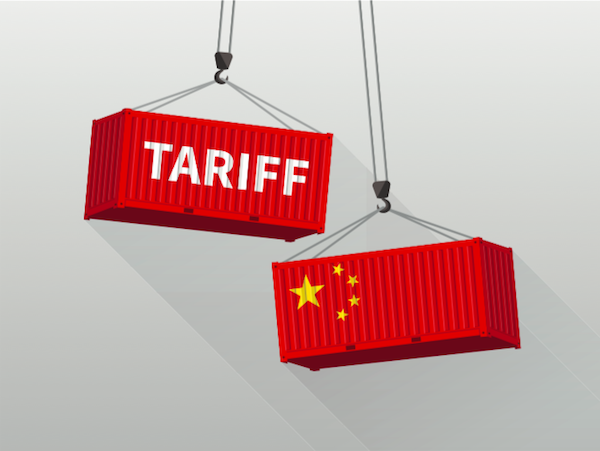 On Wednesday, March 20, 2019, the United States Trade Representative (USTR) office released a second round to the Section 301 Tariffs List 1 products from China that are currently subject to a 25% tariff. These exclusions are available for any product that meets the description in the official notice, regardless of whether the importer filed an exclusion request. If you import these products, you may be able to claim an exclusion using HTS number 9903.88.06. For earlier entries, retroactive refunds of the Section 301 tariffs are not automatic. Importers must request a post-summary correction for eligible entries made subsequent to July 6, 2018 (or file a protest if the entry has already liquidated). Click to read the previous Weekly IP Buzz. View on LinkedIn. For more posts, see our Intellectual Property Law Blog. Darin M. Klemchuk is founder of Klemchuk LLP, a litigation, intellectual property, and transactional law firm located in Dallas, Texas. He also co-founded Project K, a charitable movement devoted to changing the world one random act of kindness at a time, and publishes Thriving Attorney, a blog dedicated to exploring the business of the practice of law, productivity and performance for attorneys, and other topics such as law firm leadership and management, law firm culture, and business development for attorneys. Click to learn more about Darin M. Klemchuk's law practice as an intellectual property lawyer.